New brand name and identity for digital timeline tool. 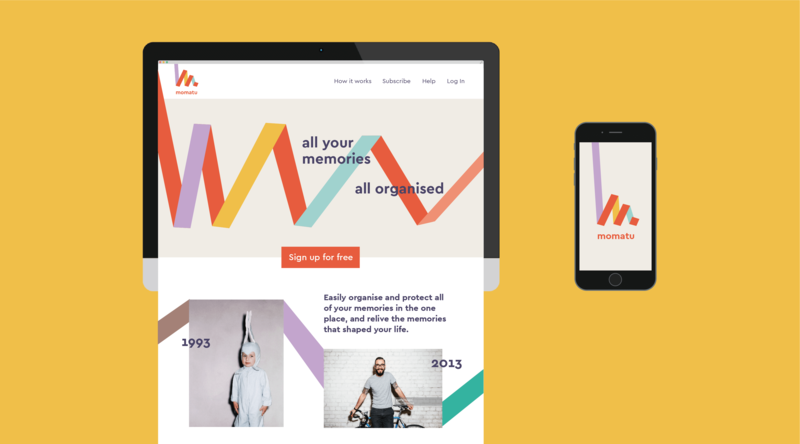 Momatu is a free digital timeline tool that helps people easily capture, organise and enjoy their precious memories, again and again. 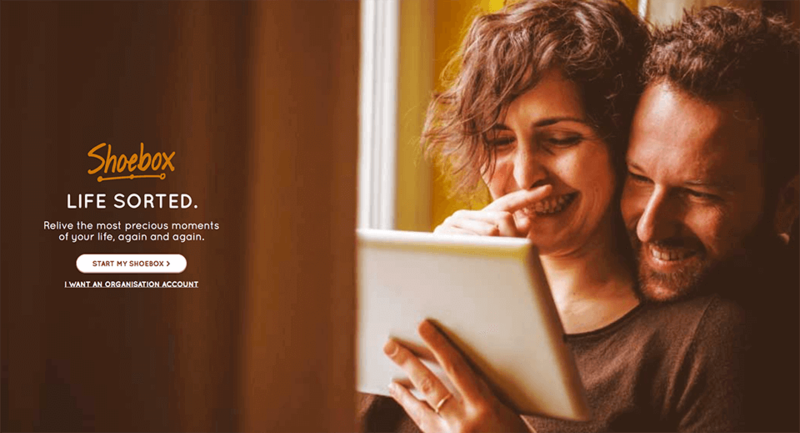 Originally called Shoebox Timeline, Momatu brings together the best of social media, timeline creators, photo books and image storing platforms, with new smarts that enable everyone to organise and celebrate their life story in a visually vibrant and dynamic way. As Shoebox Timeline, the tool had already gained a niche following. However it was struggling to stand out, find its space and realise its true potential. We needed to find what audience the brand should be targeting and understand the key drivers of interest to engage them. The brand also needed a new name due to a conflict with another photo storage platform. Following some initial qualitative research, we conducted a quantitative study with potential target audience groups. The research helped us understand product interest and identify a new primary audience of young Mums. Secondary and tertiary audiences were also refined, and this provided much needed clarity and direction for the brand. The research also uncovered opportunities to improve the look and functionality of the platform to drive further engagement with key audiences. Rather than focusing on the functional details of the platform, we repositioned the brand around the emotional benefits. 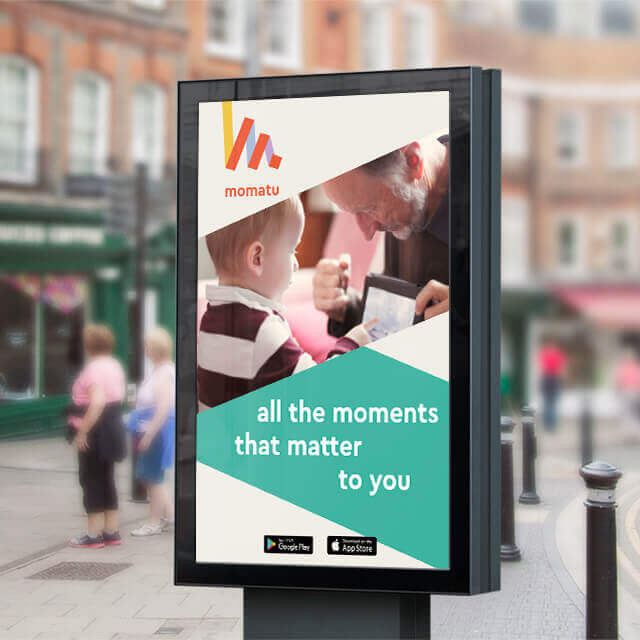 Momatu helps people create order out of chaos and inspires them to create history and celebrate their life story. The new proposition combined with powerful messaging highlighted the different benefits for the target audience, while also addressing any perceived privacy or usage concerns. Building on strategic proposition, we then created a new name to truly distinguish the tool. 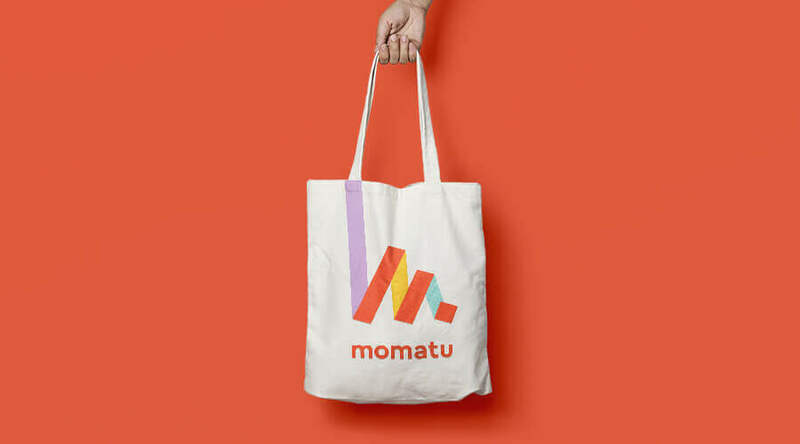 After a series of creative ideation and crowdsourcing sprints, we settled on Momatu. The new name was invented from the idea of ‘moments that matter to you’. It helps tell the brand story while meeting our criteria of being short, distinctive, memorable and ownable. The identity we created for Momatu is inspired by a roll of film, which has a sequence of moments captured in time. This idea was adapted to create a monogram of the letter ‘M’ to represent the brand in a vibrant and succinct way. The contemporary and diverse colour palette, combined with a friendly sans-serif font makes the new Momatu identity playful, personable and engaging. The monogram has the ability to come to life in larger applications, with the ‘M’ ribbon extending off the page to create a dynamic animated graphic device.